Many people from different countries have heard about Geocaching. But do you really know what is it? 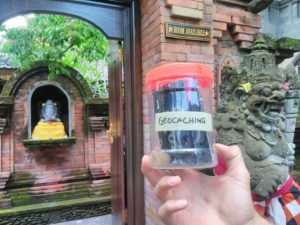 What is Geocaching and how to Play it? Geocaching is a worldwide game which is played by travellers and other “geeks”. To put it simply – it is a game where people use satelites which are worth multi million dollars for their pleasure. There are more than 3 million different size boxes which are put outside in different countries. To find one you need to use your phone with GPS reception or GPS device. What is Inside Geocaching Container? Many people think that they will find the reall “treasure” if they find a geocaching box. They think that there are money or other valuable stuff inside it. But the truth is that these boxes usually contain only notebook and pen to write that you have found that particular box. It is not about the things you find, it is about the places you discover by these boxes. Although, sometimes you might find some coins, small toys, cards or other stuff to exchange with other players. The rule for that is – leave the same value stuff as you take. What Geocaching App should I use? One of the Geocaches I have found. If you use Android operating system on your mobile phone then I recommend to use C:GEO app. It is the most user friendly and free app for geocaching on Android devices. You can also use geocaching offline with this application and offline maps. Sometimes people also use Locus app with geocaching addon. If you use Apple Iphone then you will need to use official Geocaching app. It is limited to small amount of caches to be found for free, later you will need to buy premium version of it. What is Geocoin and Trackable? There are small coins or toys with tracking numbers which travel from one geocache box to another. Every geocoin or trackable have their own unique number which you can track in official website. With this number you can track on the map where that toy or coin has been. Trackable items can be whatever – big or small, amulets, toys and other stuff. You just need to attach original tag on them. Which GPS to use for Geocaching? GPS device works much better than mobile app for Geocaching. It is more accurate than mobile apps and it works much better in forests, mountains, nature and cities. Personally I have my 2nd Garmin GPSMap 64s device and I am very happy with that. It is managed by buttons, there is no modern touchscreen. Also it works with 2 AA batteries and I recommend to use Eneloop batteries with it. For me GPS works about 10-15 hours with tracking. Traditional caches. These are the most popular ones. Traditional geocaches have physical containers and they are placed in the coordinates you see in the system. The icon for these caches is green picnic box. Multi caches. This type of geocaches is not so popular. Multi caches usually have physical containers and sometimes virtual stages. You will need to find stage after stage, solve some tasks and formulas until you will get to final stage and find final container. Unknown caches. 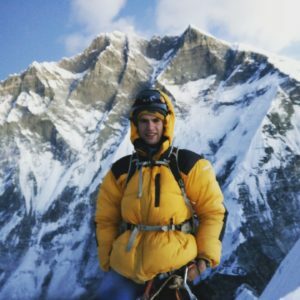 If you are interested in puzzles and solving equations, then this type of geocaches is for you. You will need to solve tasks, puzzles until you will get the final coordinates for final container. There are also not so popular types of geocaches. They include Wherigo, webcam, earthcaches, Event type (including MEGA, GIGA events), Virtual caches. You will learn more about them when you start playing the game. 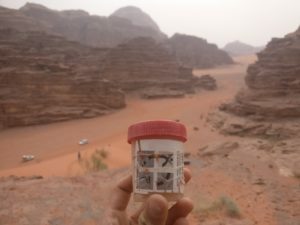 Geocaching in Wadi Rum, Jordan. If you are interested in Geocaching game you can try it with your phone at the beginning. Later if you get more attached to it you can try geocaching with GPS and premium membership. Download the app to your phone and check out where are the geocaches near you. Try to find them and later explore further. Geocaching containers are various size and types. The most popular ones are micro caches. These boxes usually are bottle PET preforms, they are durable and waterproof. Picnic boxes, film canisters, ammo cans are also popular choices for geocaching containers. 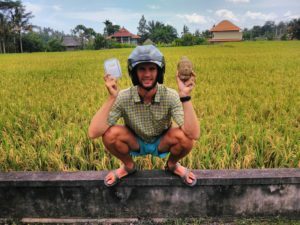 Geocaching is a fun game to play when you are travelling. Also it is a great way to explore the place you are living in. You will be surprised that some of the places you pass everyday have a hidden treasure! This sounds like so much fun. My kids are always up for solving a mystery or search and find. I think they would love this type of activity while traveling. I have heard of this before, but I did not know the details. Great information for our next travel adventure. This sounds like a lot of fun. I had no idea of this. I am surely going to install the app and start playing. Finding box is like treasure hunting. It is definitely a lot of fun! Yup, it is exactly real life treasure hunting game 🙂 The most valuable treasures you find are the places you visit 🙂 Let me know how did you like the game! I love geocaching this is super fun to do with kids and can make for an amazing date also! I always forget about it when I am traveling though, I think I will download the app and find some caches near me now! It definitely is a fun way to spend a day with kids. It is funny, because my good friends were looking for one geocache on their date! Oh, yes! I heard about this game a few years ago, and it seems awesome fun! It’s like a treasure hunt and a gift exchange at the same time. Too bad we don’t have a GPS unit though, and the Philippines is not that “hot” in geocache. But we would definitely want to hunt for geocaches in our area. Yup, but mostly boxes are small and there is not enough space for exchanging items. But it is not about the things you find in a box, it is about the places you visit! You are right, Philippines is not the best place for geocaching, I have found only 12 boxes in a month! I had never about this before, it sounds like so much fun! I’ll try it for sure. Julie, try it! Some people like it, some people don’t. Let me know what you think about it after trying. I’ve had friends who were very into Geocaching but can’t say I knew much about it until I read your post. I love that its kind of like a global scavenger hunt! It definitely is worldwide thing. There are more than 3 million of these boxes around the globe. Are you interested in trying this game? Wow this is an amazing treasure hunting type + travel kind of puzzle of fun! I love the idea and indeed quite expensive but fulfills your travel passion. I’ve only been Geocaching in San Francisco and didn’t realize it was a big thing all around the world. Will have to do it on my next travels!